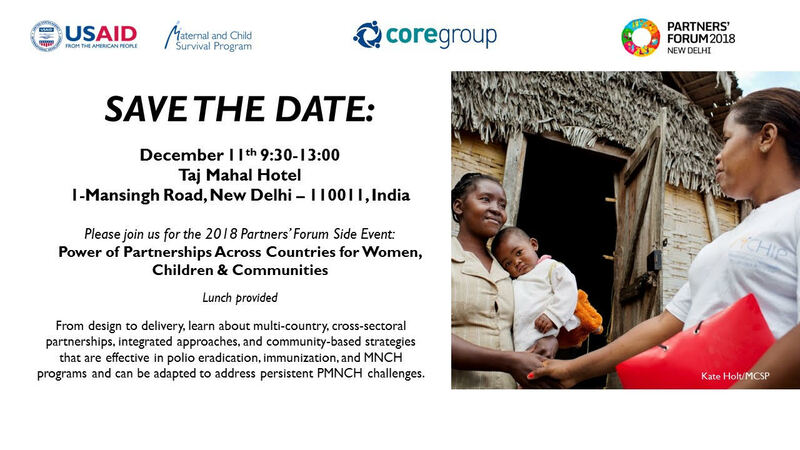 Who should attend: PMNCH stakeholders interested in cross-sectoral partnerships or integrated and community-based approaches to improve health outcomes for women, children and adolescents in development and humanitarian contexts. Participants can check-in for the event starting at 9:30AM. Coffee/tea will be served and lunch will be provided after the event.